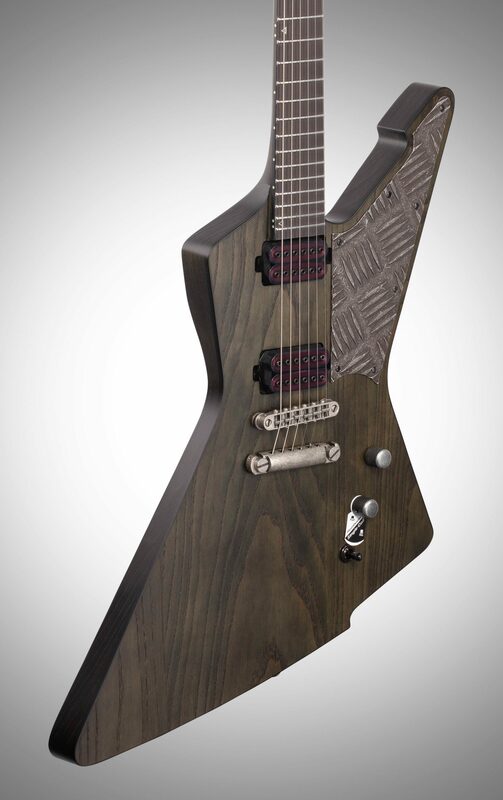 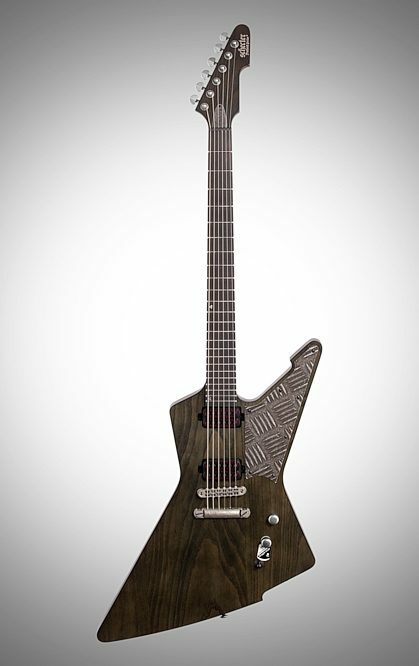 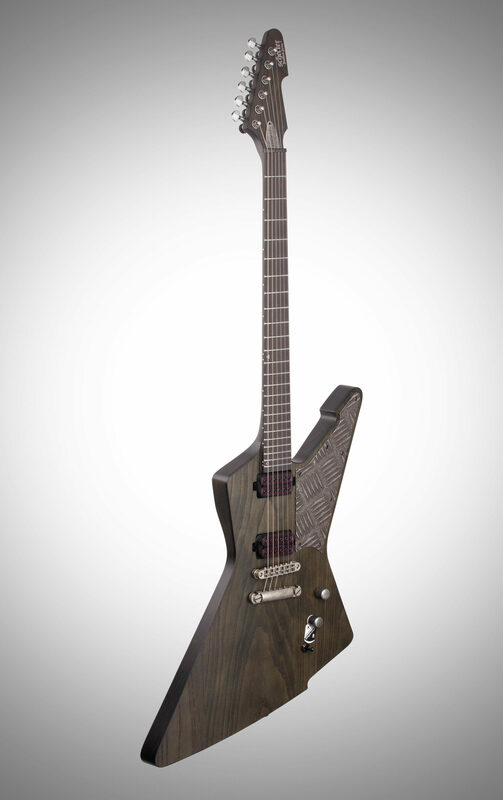 Meet the newest horseman in the squad of Schecter’s highly-regarded Apocalypse line of guitars! 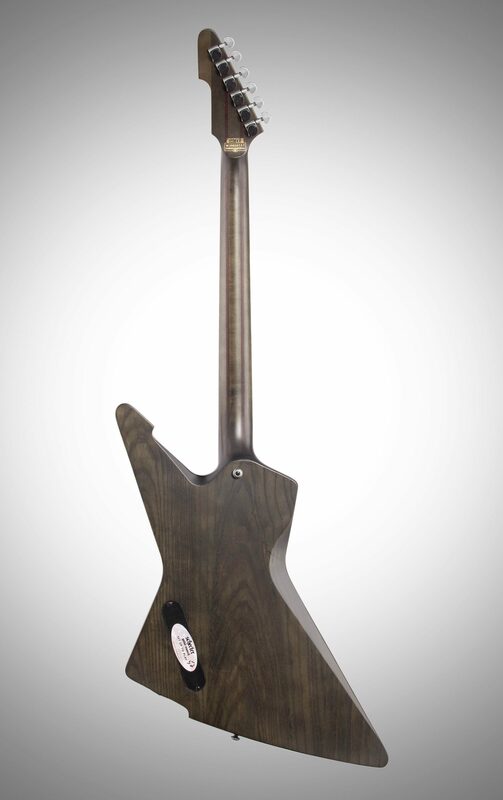 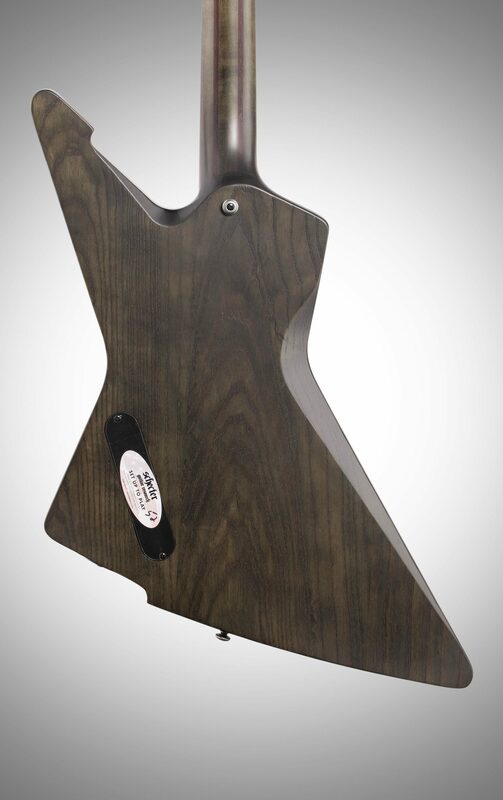 The E-1 Apocalypse features a body crafted from swamp ash, offering comfort and a well-balanced tonal profile coupled with a crisp attack, which is joined to a deep-set 5-ply maple/padauk neck carved to a thin C profile and reinforced with carbon fiber rods. 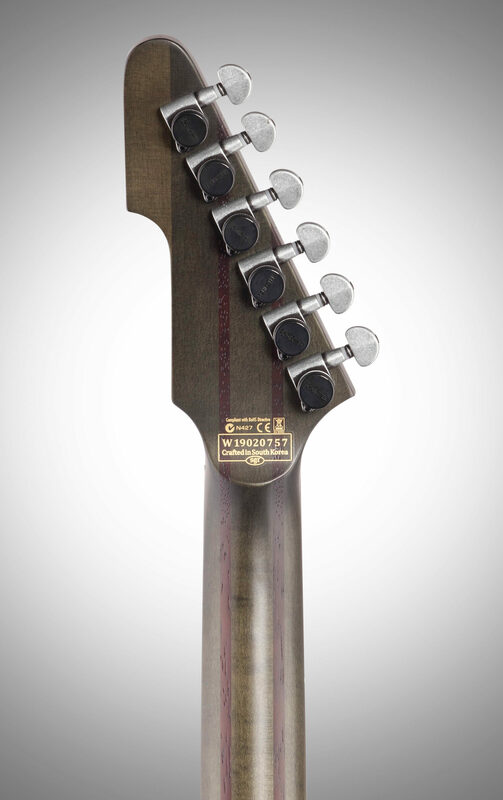 24 X-Jumbo stainless steel frets adorning a 25.5” scale compound-radius ebony fingerboard set the stage for light-speed leads and soul-crushing riffs, while the U.S.-made Schecter Custom Shop Apocalypse-VI pickups pierce the air with the staggering power and incredible definition only made possible by their distinctive tri-field design. 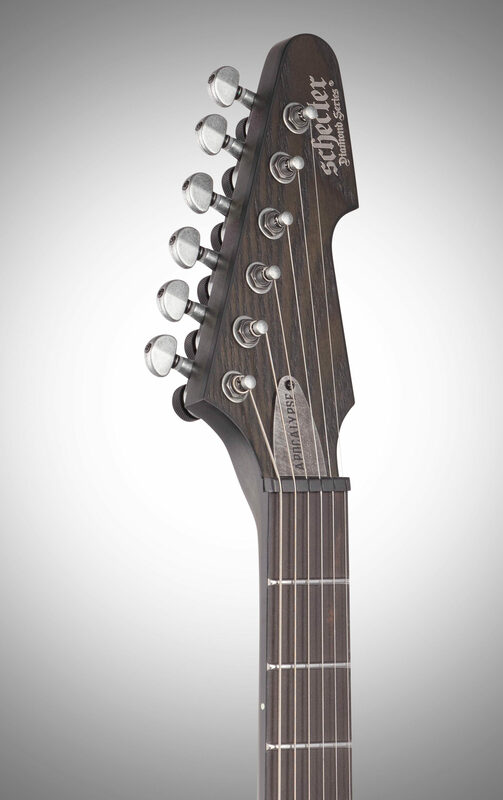 Adding further tonal versatility is a push-pull coil split on the master tone control, while the TonePros locking bridge and tailpiece, Graph Tech BlackTusq nut, and Schecter locking tuners combine to deliver rock-solid sonic coupling and tuning stability. 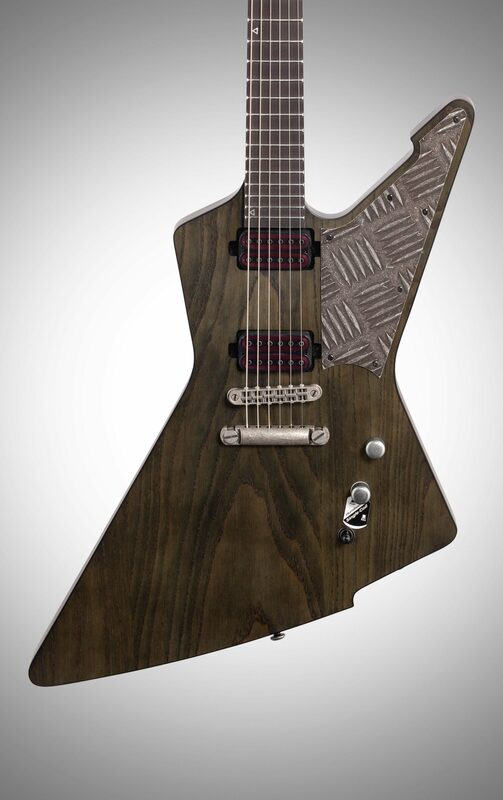 Available in Rusty Grey finish with a custom distressed diamond plate pickguard and distressed chrome hardware, the E-1 Apocalypse may just close the book on your Gear Acquisition Syndrome.